Micro Rainbow International and the UK Lesbian and Gay Immigration Group (UKLGIG) are two organisations which provide invaluable support to our clients. Many of these clients are claiming asylum in the UK due to fear of serious harm in their countries of origin simply because of their sexual or gender identity. This group of people can be particularly isolated because they are often marginalised by other people in the UK who are from the same countries of origin. Micro Rainbow and UKLGIG provide them with practical and emotional support, as well as assistance in obtaining legal advice. As well as representing clients in applications to the Home Office and in the Immigration Tribunal, several Wilsons solicitors and caseworkers are involved in providing free information workshops to those who have approached UKLGIG or Micro Rainbow for help. 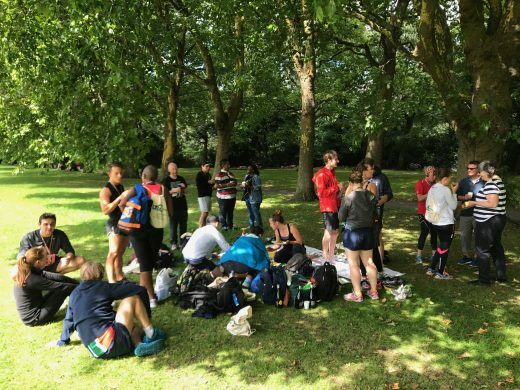 And on Saturday 12 August 2017, in recognition of the fantastic work these two organisations do, a team of Wilsons runners joined other supporters in taking on the London Pride Run 10k in Victoria Park. The Wilsons team of Ana Gonzalez, Russell Blakely, Adam Spray, Eleanor Simon, Tim Davies, Rebecca Morris, Larry Lock, Katy Robinson all successfully negotiated three laps of the park and were rewarded with a sumptuous picnic afterwards, which they ate while enjoying the opportunity to catch up with friends and colleagues. Donations to UKLGIG will fund support work for isolated LGBTI people seeking asylum. Their fundraising page can be found here and more information about their work can be found at http://uklgig.org.uk. Donations to Micro Rainbow’s work can be made here and more information about their work in the UK and elsewhere can be found at https://www.micro-rainbow.org/.